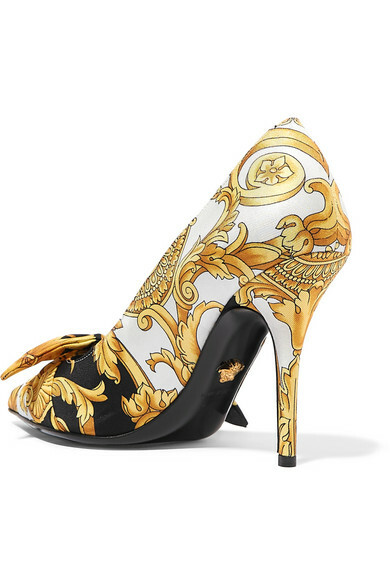 Versace's iconic 'Barocco' print was first designed by founder Gianni for the house's Fall '91 collection, but now it's having a major revival. 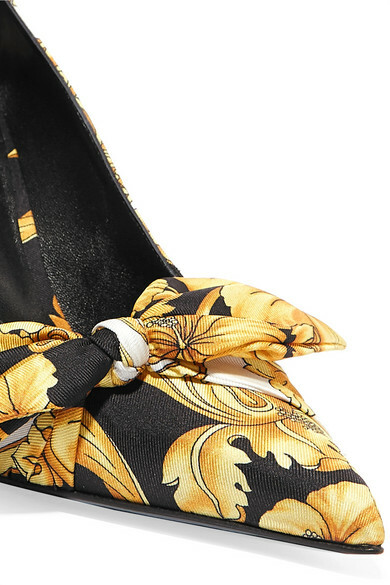 Expertly made in Italy from leather and silk-faille, these pumps are decorated with the archival motif and topped with an oversized bow. 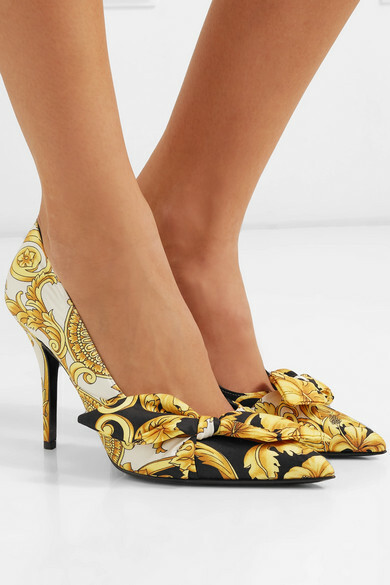 The pointed toe and slim stiletto heel create a leg-lengthening effect, so show them off with a mini dress. Shown here with: Maison Margiela Dress, Givenchy Shoulder bag, Ellery Earrings.